“We would like to wish the dear readers, our very best wishes for the new year of 2018”. With the culmination of 2017, we hope that the bittersweet journey most of us traversed in past year provided us with experiences and the energy to dig and prospect as 2018 is upon us now. 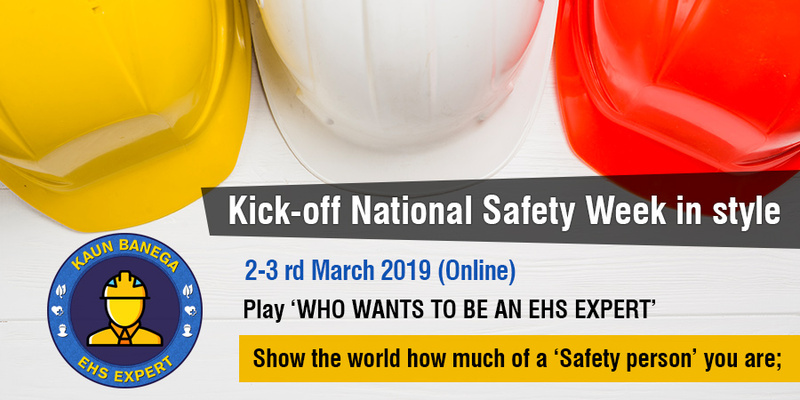 ASK-EHS takes the last Saturday of each year to organize their annual event. 30th December 2017 was marked as a day to celebrate our work, our dedication and push ourselves a little bit harder than we do, from our official routine. 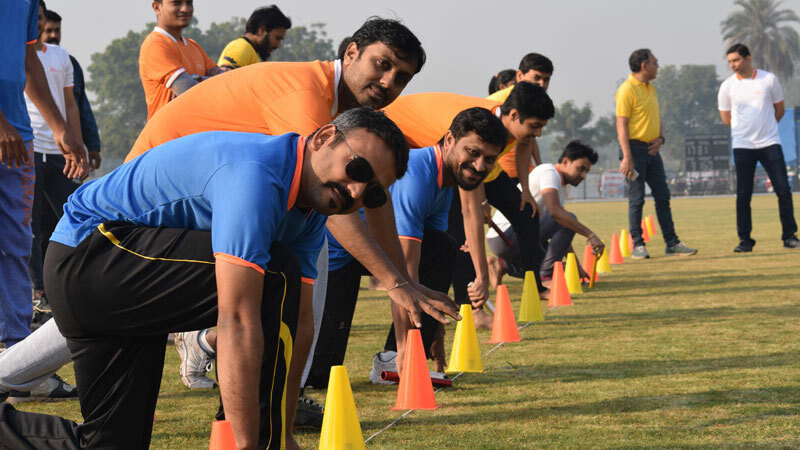 This push came at a field of cricket as ASK-EHS organized an annual integrated event which welcomed all its employees, their families and especially the little ones who sometimes ponder what exactly do people at offices do. 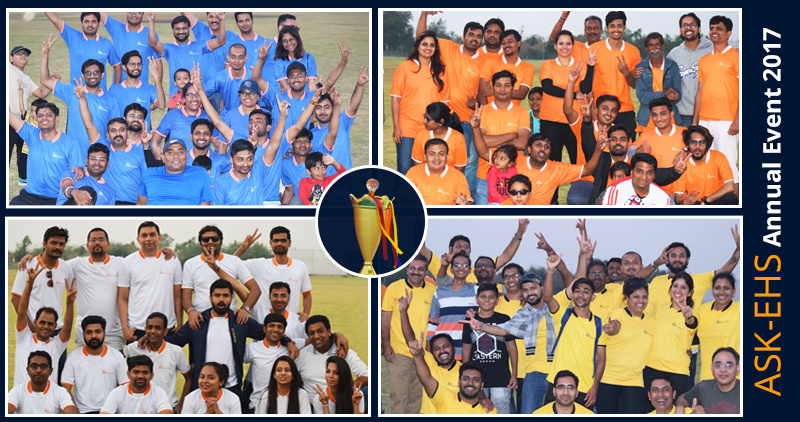 The office personnel were divided into 4 colour teams of orange, yellow, white and blue. The different events were point based that were to be tallied at the end of the day. 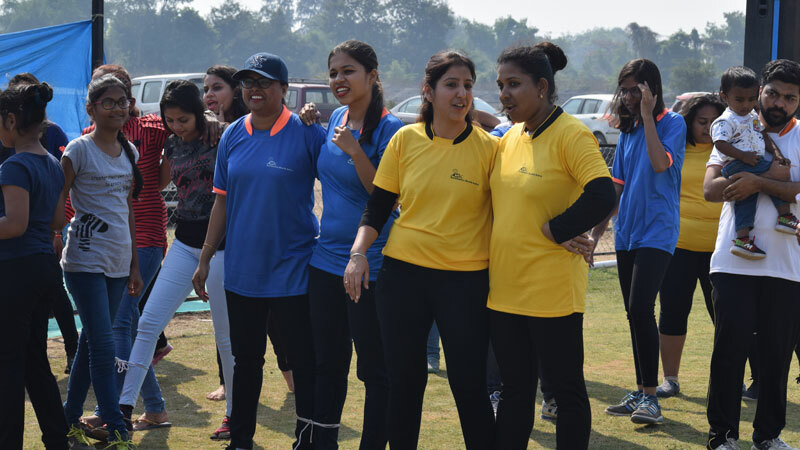 The members of each team were to represent in hundred meter running, relay race, shot put and a three-legged race exclusively for women. 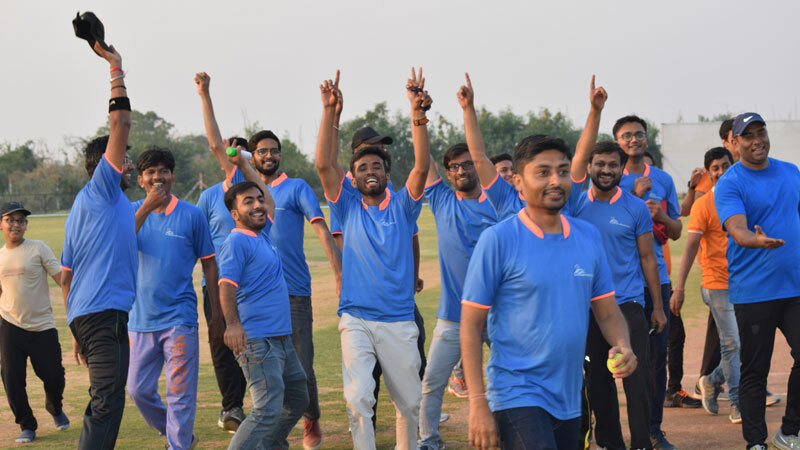 But the main attraction of this line-up was the most awaited four-way cricket tournament in the middle of the well maintained facilities located in green countryside outskirts of Surat. 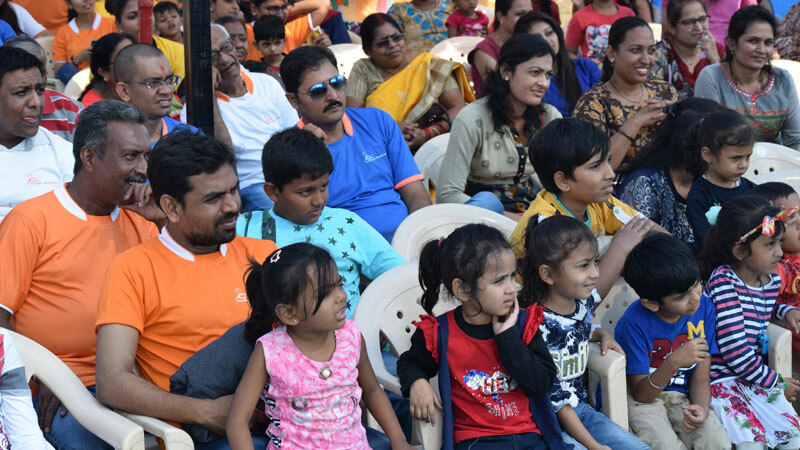 There was a parallel program for the families and the kids who had the time to enjoy focused events specially planned out for them next to the cricket ground with fun and food in play. 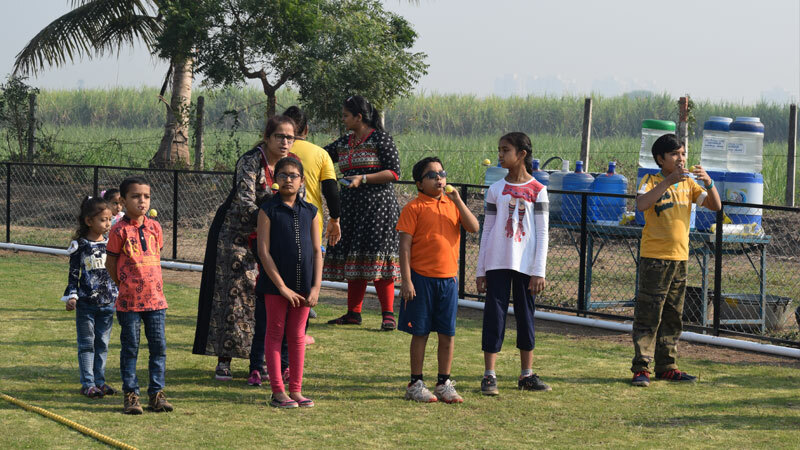 Kids enjoyed a sunny day out in the winter breeze with sack race, ring target, bouncy castle and balloon shooting. The two attractions for kids were the magic show and the horse kart riding which was done and received with much charm and enthusiasm from all quarters. The parallel events made it possible for everyone to get a piece of cake of their liking as the day progressed. Starting with breakfast to events to snacks, especially for the huffing and puffing cricket teams battling it out and marked by a sumptuous lunch. While the families and kids were busy with their organized events and even freewheeling ones such as hula hoops and kite flying. 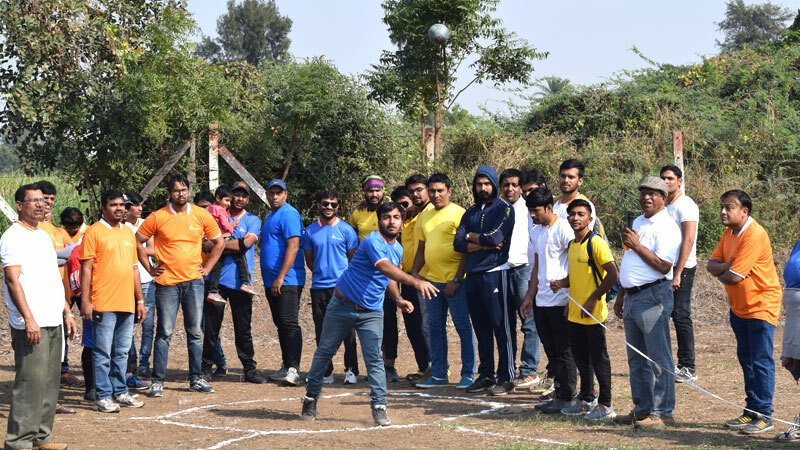 With cricket, food, music and ample facilities at the ground, it was an enjoyable and fun-filled day for everyone. The final event for the different colour teams was the tug of war which really puts people shoulder to shoulder and requires both the effort and enthusiasm from each one of us. 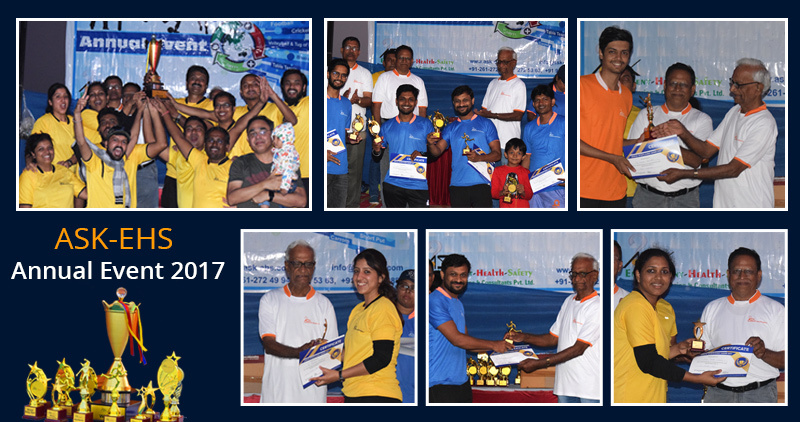 As the day drew to a close, the blue team were crowned the cricket champions for the year while the yellow team became the overall champions of the ASK-EHS annual event 2017. 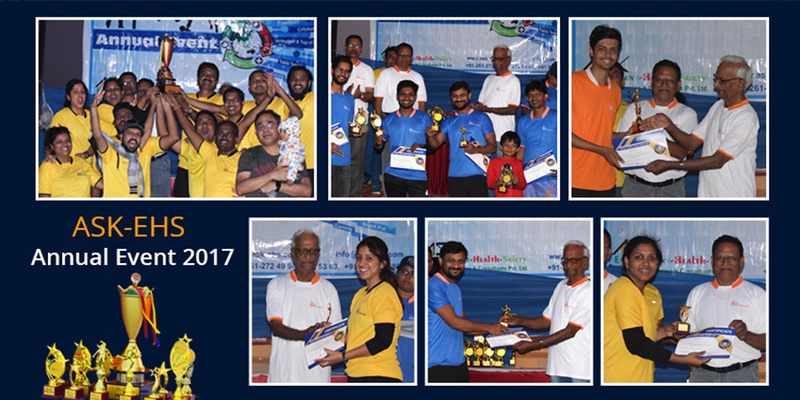 At the end of the day, the customary cake cutting was preceded by giving out presents to our young participants and prize distribution for the teams and their individual members whose brilliant display turned it into an engaging event. 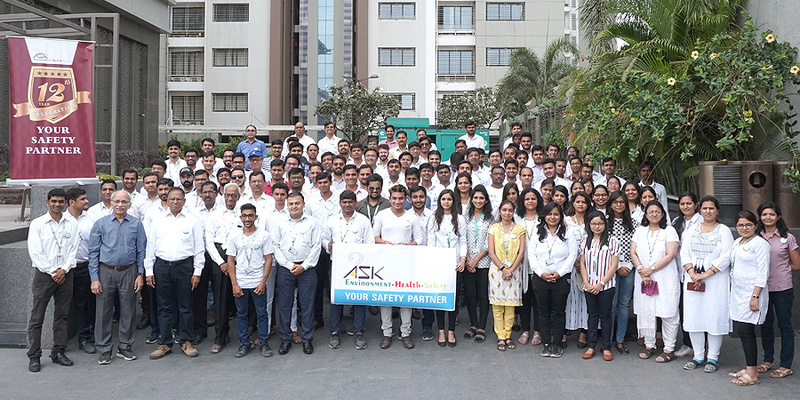 It was team building at its best but more importantly it was a day for everyone at ASK-EHS and their loving families to partake in a common celebration.